Paul details four of his most acclaimed routines (including the one he used on 'Penn & Teller: Fool US') for the first time ever. He details his endless chain routine, which incorporates all the finest moments and presentational angles from past masters, with new developments. Then he takes on an unusual T.A. Waters routine by completely renovating the method. In the routine, you reveal the audiences choices via a prediction PINNED TO THE BACK OF YOUR JACKET. Cool premise, right? Then it's on to Paul's amped up version of a terrific Simon Aronson effect...but for us the centerpiece of this fine collection is a detailed examination of Paul's signature multiple selection routine. He spends pages discussing the theory of his version, the impact he achieves, why he has designed the routine as he has, and more. Then you get a play by play of the fantastic control he uses, and each revelation in the order he performs it. Classic Fantastic has touches by Jason England, Jimmy Grippo, Jared Kopf and others. It's a beautiful book. This is probably NOT the book for you if you're unfamiliar with close-up technique. 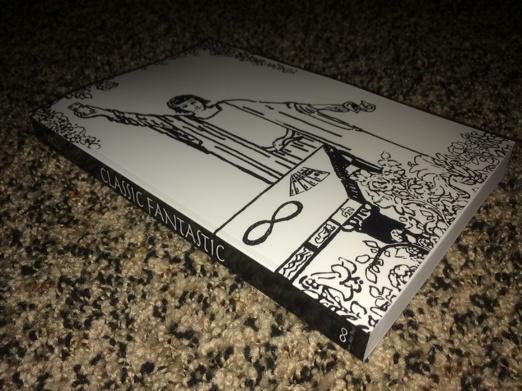 But if you have a working knowledge and want to read an advanced, beautifully written magic book in which the author has held back NOTHING on his bread-and-butter routines, Classic Fantastic might be the best magic book you've ever read. We mean that. Limited to 500 numbered and signed copies.